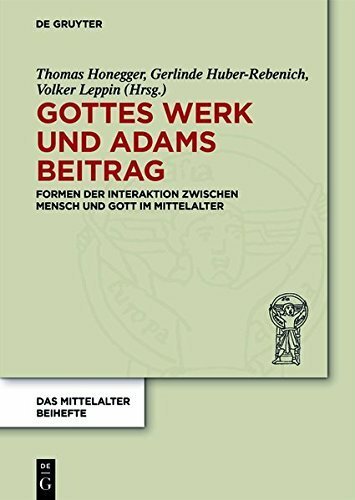 9783161500848 | Mohr Siebrek Ek, September 1, 2016, cover price $180.00 | About this edition: English summary: From an international and interdisciplinary viewpoint, Thomas Aquinas was the most important scholastic philosopher and theologian. 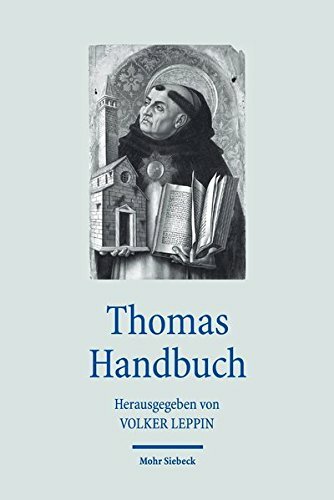 9783161492303 | Mohr Siebrek Ek, September 1, 2016, cover price $75.00 | About this edition: English summary: From an international and interdisciplinary viewpoint, Thomas Aquinas was the most important scholastic philosopher and theologian. 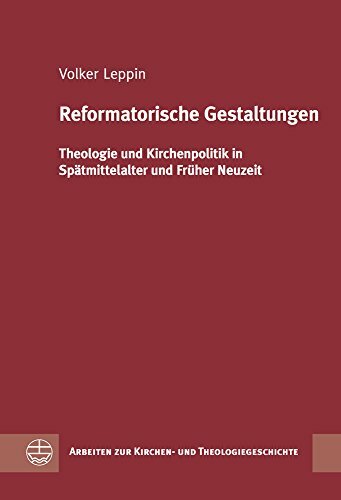 9783374041411 | Evangelische Verlagsanstalt, February 2, 2016, cover price $85.00 | About this edition: Dass eine theologische Reform gesellschaftliche, politische und rechtliche Ãnderungen mit sich brachte, gehÃ¶rt zu den erstaunlichsten PhÃ¤nomenen der Reformation. 9783374041435 | Evangelische Verlagsanstalt, April 1, 2016, cover price $60.00 | About this edition: The volume presents the contributions of a public lecture series in T|bingen, winter term 2012/13. 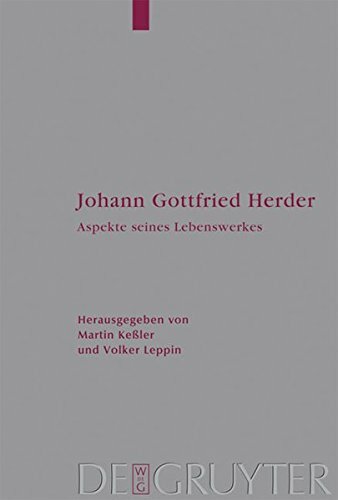 9783161528200 | Mohr Siebrek Ek, August 1, 2015, cover price $194.00 | About this edition: Der Band versammelt mehrere AufsÃ¤tze von Volker Leppin aus den vergangenen eineinhalb Jahrzehnten. 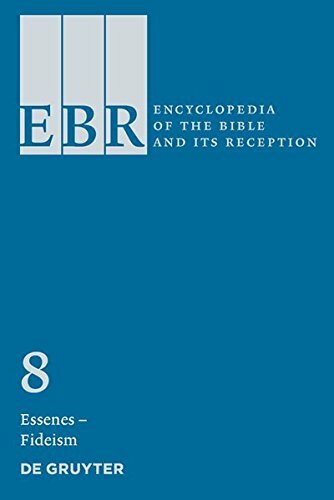 9783110183771 | Walter De Gruyter Inc, August 15, 2014, cover price $363.00 | About this edition: The projected thirty-volume Encyclopedia of the Bible and Its Reception (EBR) is intended to serve as a comprehensive guide to the current state of knowledge on the background, origins, and development of the canonical texts of the Bible as they were accepted in Judaism and Christianity. 9783110183764 | Walter De Gruyter Inc, January 29, 2014, cover price $363.00 | About this edition: The projected thirty-volume Encyclopedia of the Bible and Its Reception (EBR) is intended to serve as a comprehensive guide to the current state of knowledge on the background, origins, and development of the canonical texts of the Bible as they were accepted in Judaism and Christianity. 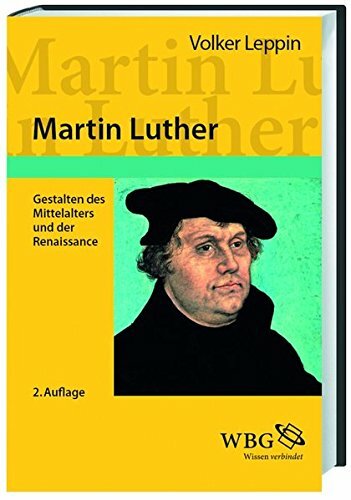 9783525550502 | Vandenhoeck & Ruprecht Gmbh & Co, September 18, 2013, cover price $100.00 | About this edition: English summary: Even the Calvin celebrations 2009 presented Reformation as it is: international, ecumenical, multifarious even more that just Martin Luther. 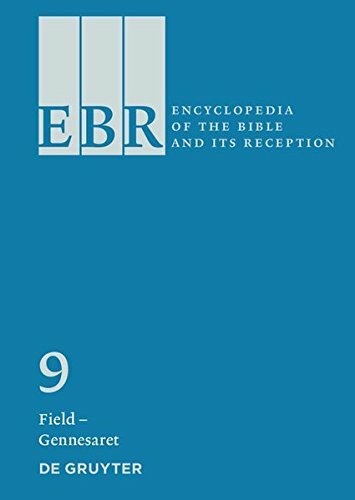 9783110183757 | Walter De Gruyter Inc, September 1, 2013, cover price $363.00 | About this edition: The projected thirty-volume Encyclopedia of the Bible and Its Reception (EBR) is intended to serve as a comprehensive guide to the current state of knowledge on the background, origins, and development of the canonical texts of the Bible as they were accepted in Judaism and Christianity. 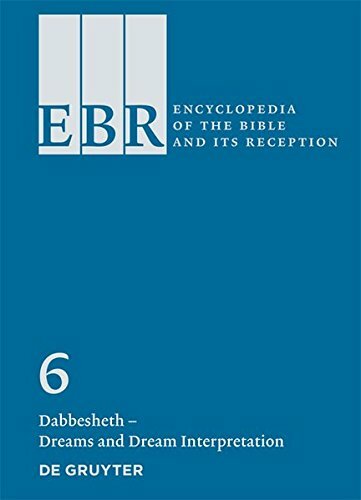 9783110183740, titled "Dabbesheth - Dreams and Dream Interpretation: Diatessaron - Dysphemism" | Walter De Gruyter Inc, January 30, 2013, cover price $363.00 | About this edition: The projected thirty-volume Encyclopedia of the Bible and Its Reception (EBR) is intended to serve as a comprehensive guide to the current state of knowledge on the background, origins, and development of the canonical texts of the Bible as they were accepted in Judaism and Christianity. English summary: About one hundred years after Albert Hauck's comprehensive study, this is a description of medieval Christianity written by a Protestant church historian. In it church events are incorporated into the general development of Europe with a special focus on theology and piety. 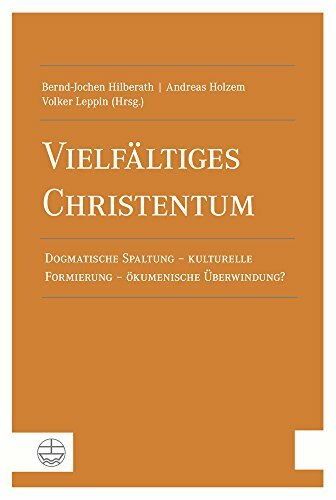 In his work, Volker Leppin follows the path of Christianity from the upheavals caused by the Germanic migrations and ethnogenesis to the high medieval institutional consolidations and pluralities up to the Late Middle Ages with its many tensions and polarities. He provides comprehensive up-to-date information on the external events, information drawn from current interdisciplinary research. Thus church history is at the same time the cultural history of Christianity. German description: Rund hundert Jahre nach dem grossen Uberblick von Albert Hauck erscheint wieder eine Darstellung des mittelalterlichen Christentums aus der Feder eines evangelischen Kirchenhistorikers. 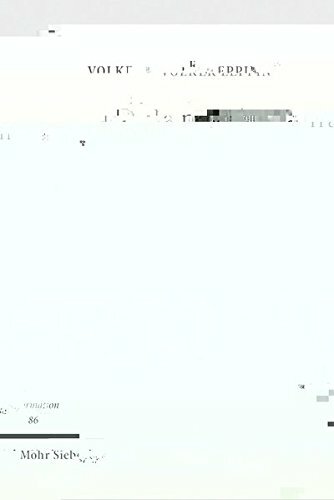 Das kirchliche Geschehen wird darin, mit einem besonderen Blick auf Theologie und Frommigkeit, in die allgemeine Entwicklung Europas eingeordnet. Volker Leppin zeichnet in diesem Werk den Gang des Christentums von den Umbruchen durch Volkerwanderung bzw. Ethnogenese uber die hochmittelalterlichen Verfestigungen und Ausdifferenzierungen bis in das spate Mittelalter mit seinen vielfaltigen Spannungen und Polaritaten nach. 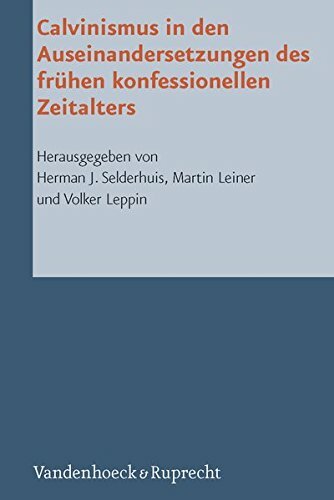 Dabei werden Pragungen durch das christliche Zeichensystem ebenso berucksichtigt wie die Entstehung weltlicher Werthorizonte, wie sie sich etwa in adeligen und burgerlichen Welten des hohen und spaten Mittelalters nachvollziehen lassen. Die Ereignisse in Deutschland mit dem paradigmatischen Gegenuber von Kaiser und Papst werden in den europaischen Gesamtzusammenhang eingestellt, in dem insbesondere England und Frankreich als Machte erscheinen, die die Kirchengeschichte mitgestalteten. Der Autor bietet umfassende Informationen uber die ausseren Ereignisse auf dem Stand der aktuellen interdisziplinaren Forschung. 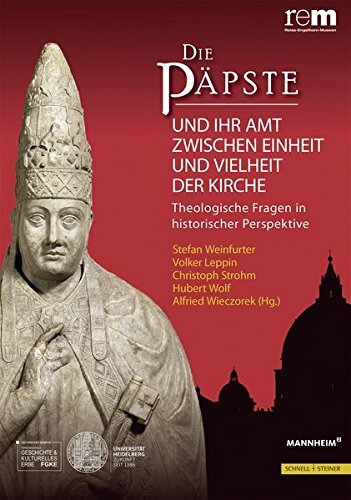 Kirchengeschichte ist damit zugleich auch eine Kulturgeschichte des Christentums. 9783161506772 | Mohr Siebrek Ek, December 31, 2012, cover price $60.00 | About this edition: English summary: About one hundred years after Albert Hauck's comprehensive study, this is a description of medieval Christianity written by a Protestant church historian. 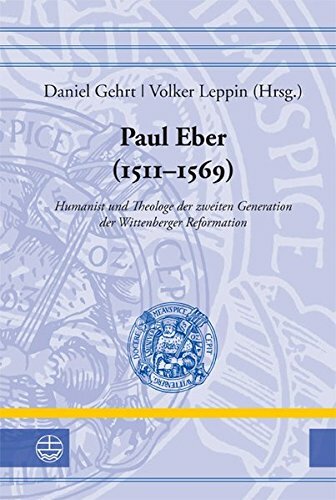 9783374030569 | Evangelische Verlagsanstalt, August 1, 2014, cover price $85.00 | About this edition: Paul Eber (1511-1569) war nach Melanchthons Tod die zentrale Gestalt der Wittenberger Theologie und wirkte reichs- und europaweit als Ratgeber f|r zahlreiche lutherische StÃ¤dte und Territorien. 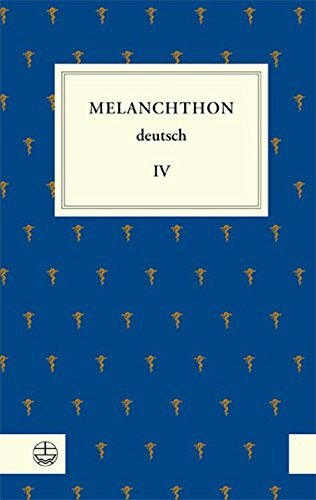 9783374030538 | Evangelische Verlagsanstalt, September 15, 2012, cover price $30.00 | About this edition: English summary: [Melanchthon deutsch IV] Since his student days in Heidelberg and Tuebingen, the University for Melanchthon served as the frame of his intellectual and spiritual life. 9783110183733 | Walter De Gruyter Inc, August 30, 2012, cover price $363.00 | About this edition: The projected thirty-volume Encyclopedia of the Bible and Its Reception (EBR) is intended to serve as a comprehensive guide to the current state of knowledge on the background, origins, and development of the canonical texts of the Bible as they were accepted in Judaism and Christianity. 9783110183726 | Walter De Gruyter Inc, March 30, 2012, cover price $363.00 | About this edition: The projected thirty-volume Encyclopedia of the Bible and Its Reception (EBR) is intended to serve as a comprehensive guide to the current state of knowledge on the background, origins, and development of the canonical texts of the Bible as they were accepted in Judaism and Christianity. 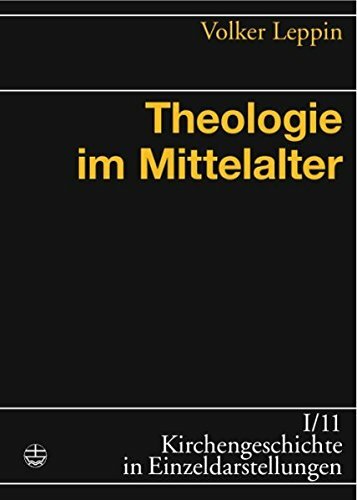 9783374025169 | Evangelische Verlagsanstalt, August 15, 2007, cover price $48.00 | About this edition: English summary: Medieval theology is often seen as a very remote field by today's theologians: Frequently the social contexts in which it developed are as little known as its intellectual premises, which reach back to philosophical concepts generated in antiquity. 9783110184273 | Walter De Gruyter Inc, April 30, 2005, cover price $238.00 | About this edition: Der Band versammelt BeitrÃ¤ge des Kongresses zum 200.